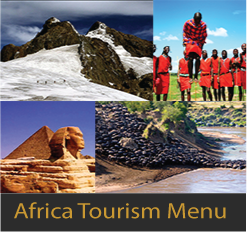 Africa as a continent is gifted in the area of tourism with the individual countries having virgin tourist attractions. 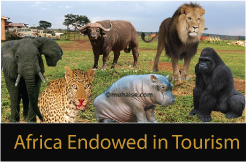 With many attractions found in Africa, Africa only received 65.3 million international tourists in 2014. This number is quite small compared to the tourism potential found in Africa. There many national parks in Africa providing plenty of life to see. Africa has a sizable number of the big five game animals including the African lion, African elephant, Cape buffalo, African leopard, and rhinoceros that are found in most countries of Africa. Africa has three longest rivers that is Nile, Congo and Niger among the top 15 longest rivers in the world. River Nile is the longest river in the world following through nine countries of Africa on its way to Mediterranean Sea through the Delta of Alexandria in Egypt. Among the top largest fresh water lakes in the world, Africa has three lakes Victoria, Tanganyika and Malawi. Tanganyika and Malawi are among the top 10 deepest fresh water lakes in the world. Africa has three exploding lakes Kivu , Nyos and Monoun. Africa has a lot of volcanic mountains with a number still active. Kilimanjaro is the tallest volcanic mountain outside South America. Africa is surrounded by water and is gifted with some of the best beaches along its coast. 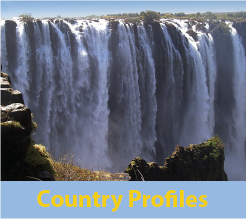 Africa has the Great Rift Valley in the Eastern part of Africa with wonderful features including rift valley lakes among others. A number of national parks are concentration in the Great Rift Valley. Africa has the greatest animal immigration across in the world across River Mara. The Greatest animal immigration takes place in Maasai Mara and the Serengeti National Parks. The migrating animals include about 1.7 million wildebeest, 400,000 Thomson’s gazelle, 300,000 zebra and 12,000 eland. The immigrating animals cross through an area with carnivore animals like lions, hyenas, leopards and cheetahs waiting for a great feast. The Mara River is also a home to many crocodiles. Africa is surrounded by water and therefore there is a lot of marine to see along the coastal waters. There is an interesting Kisite-Mpunguti Marine National Park on the southern coast of Kenya near the border with Tanzania that has abundance of marine life including dolphins trigger fish, moray eels, angelfish, butterfly fish, groupers, parrot fish, wrasses, scorpion fish, puffer fish, damsel fish, rays, snappers, green sea turtles, hawks-bill turtles among others.